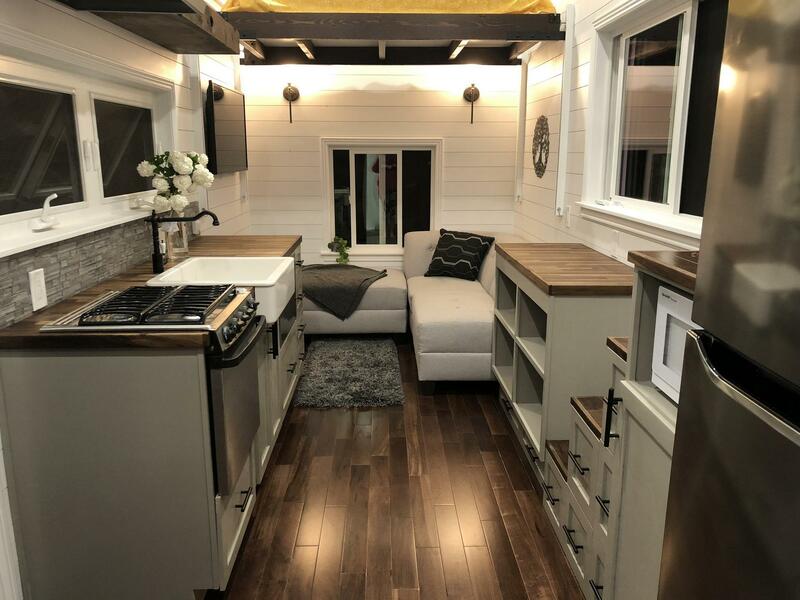 This 335 square foot spacious tiny comes packed with all the luxuries of a residential home. 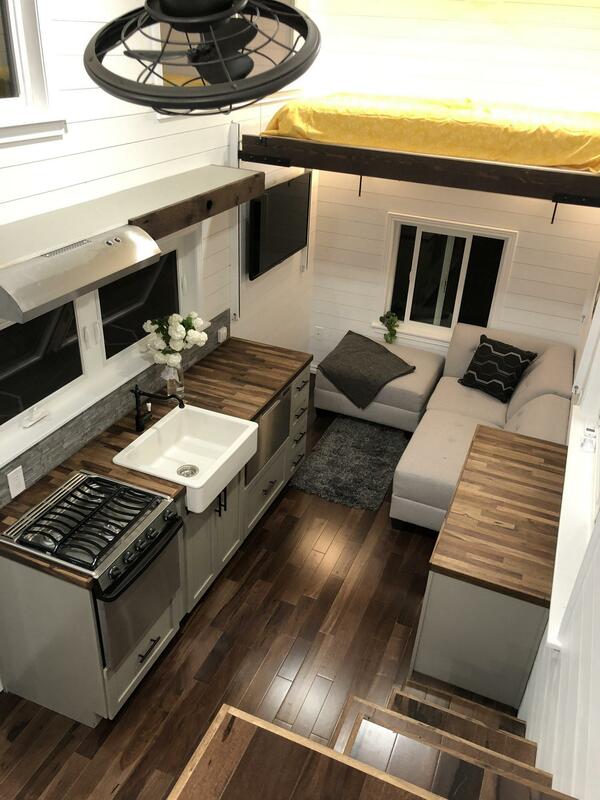 With three sleeping spaces, this tiny is ready for multi-person families or for having friends stay over. When we say this tiny home has space, we mean it. Although still tiny, this tiny home doesn’t feel small. 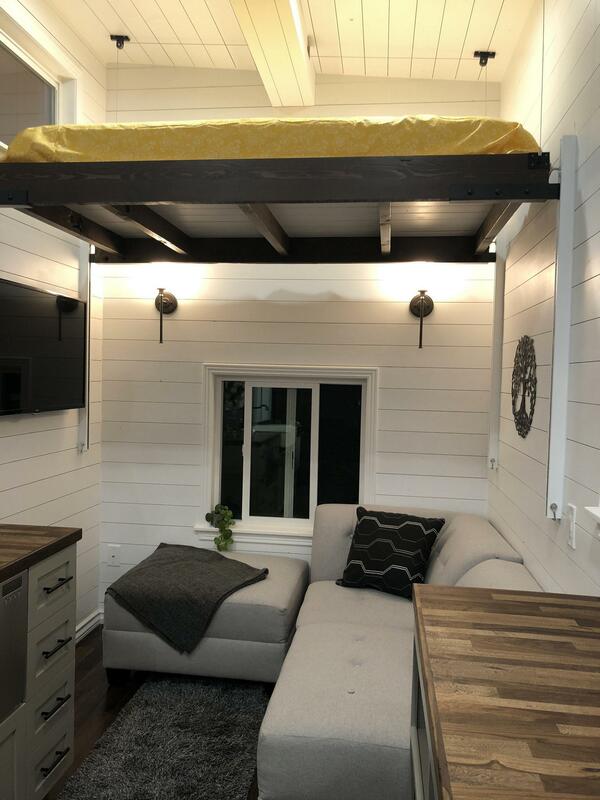 Unlike some tiny homes, this one has a dedicated living room with enough space for a sofa or love seat. A cozy, yet spacious living room. 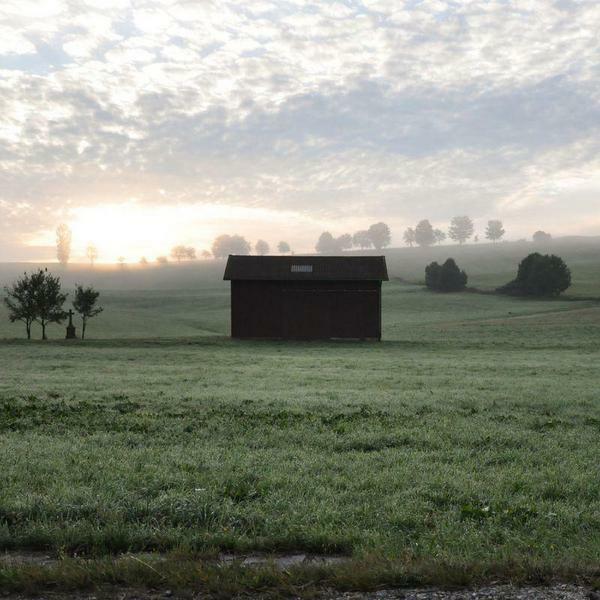 Behind a sliding barn door you’ll find a full-sized shower, a toilet, and smaller sink. The vanity with mirror adds a luxurious touch to the bathroom. 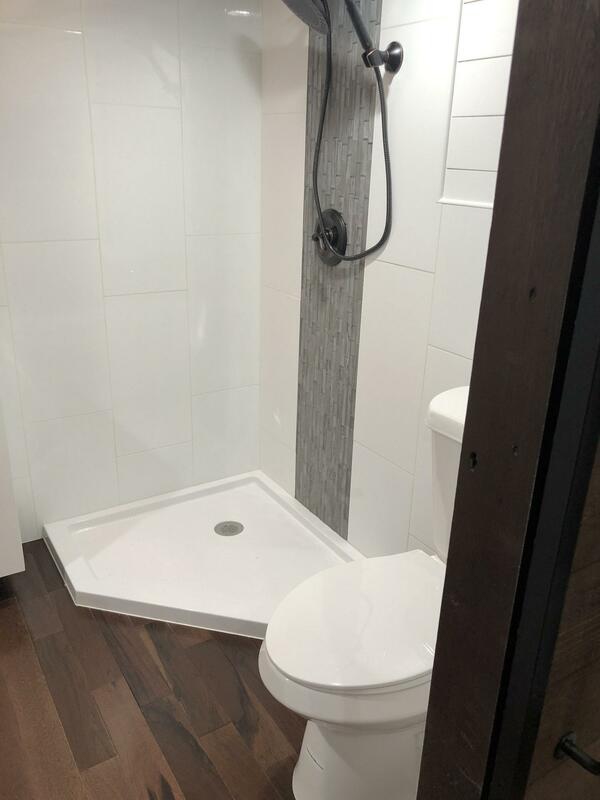 This bathroom comes with a full-sized shower. 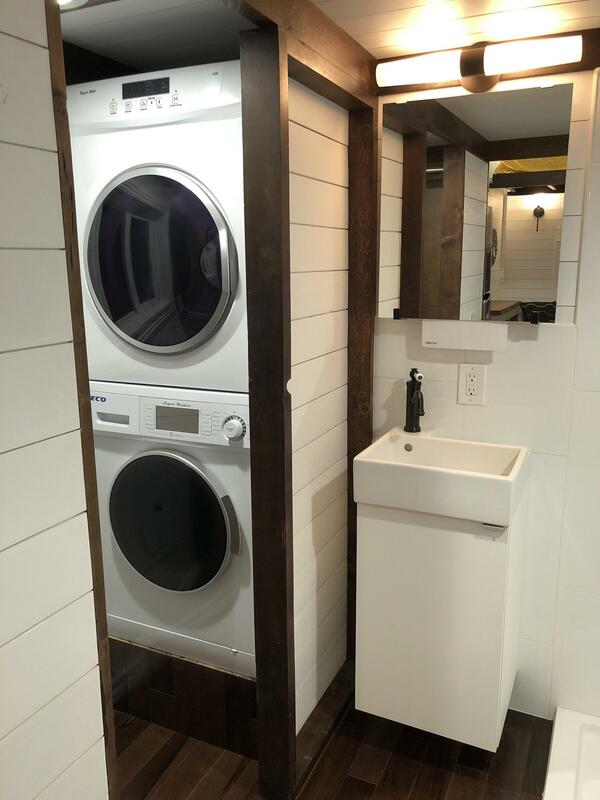 A nook between the kitchen and bathroom houses the stackable washer and dryer. The washer and dryer are conveniently tucked away. The kitchen has ample storage, as well as full-sized appliances. We also love how much counter space there is for food prep and cooking. Beautiful, wooden counters with plenty of surface space. The stairs that lead to the bedroom loft have cubbies that are great for a small microwave and other essentials. Where do we begin? 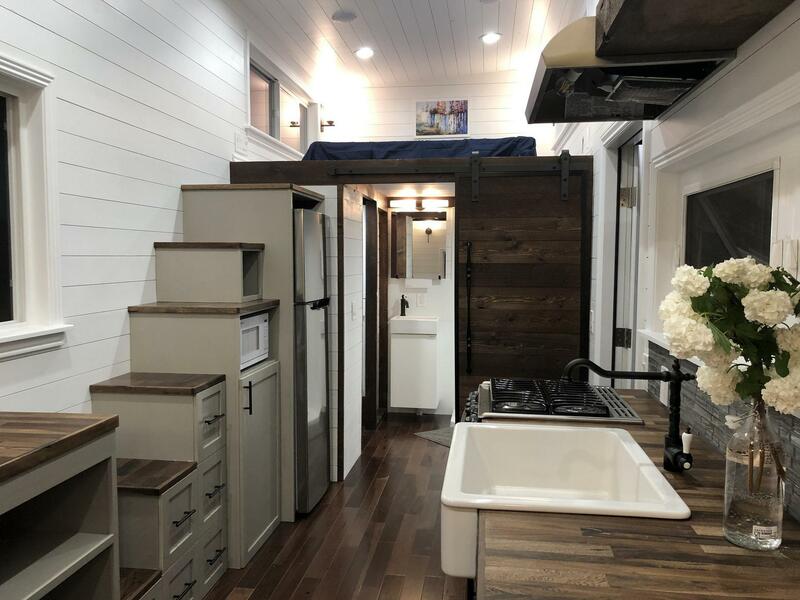 There are three different options for sleeping in this tiny home. The first is in a loft space located up a small set of stairs, above the bathroom. The next sleeping space is on the couch that can be converted into a bed. Finally, the coolest sleeping space of them all is the elevator bed above the couch. Lots of choices! Elevator bed with the cozy couch-bed underneath. 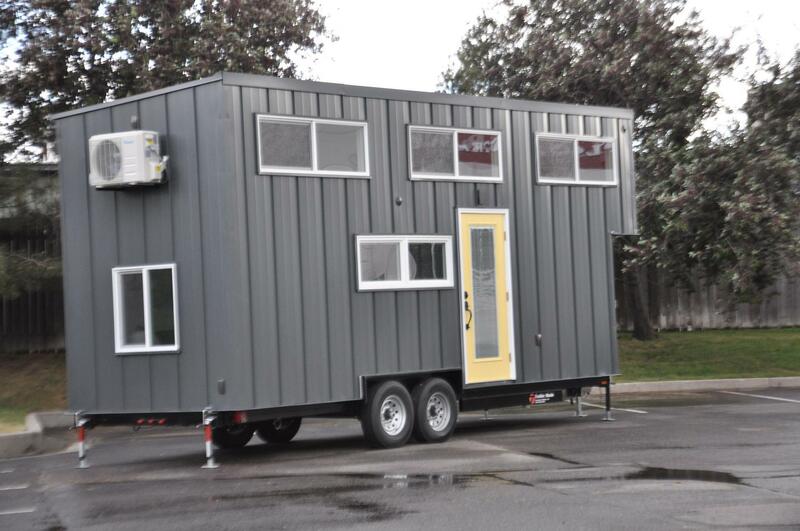 The cost of this tiny home is $75000. Prices may vary over time; contact the builder here for more information. 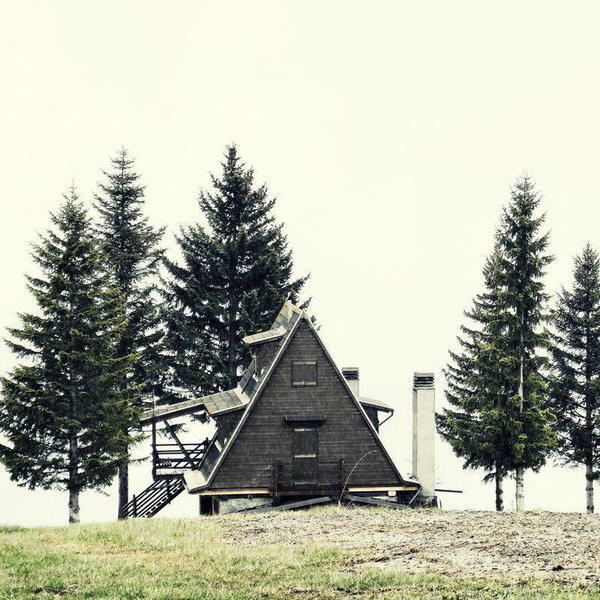 All images are from Sun Bear Tiny Homes.